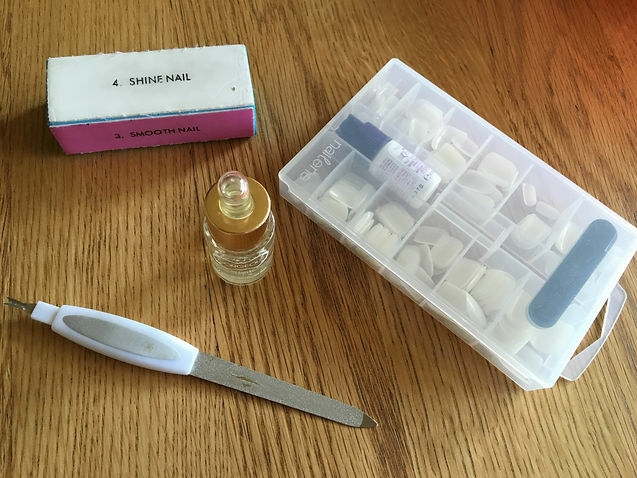 I just thought I would do something a little bit different today and show you how I prepare my nails to apply fake nails. My nails are really weak, so whenever I want to paint a design on them, I apply some of these first. 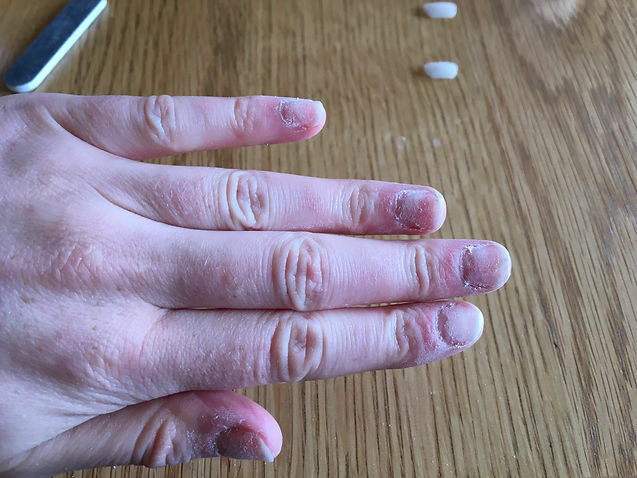 I swear I have tried everything with my nails to make them stronger- from vitamin D tablets, to treatments to changing my diet. If any of you have any tips, I would gladly hear them. 1. So the first thing we need to do is pick out some nails. The trick here is to push the nails right into your nail bed and make sure it’s a tight fit. The last thing you want is having any overhanging nail at each side of your finger. 2. Place a small drop of oil onto each of your fingers and rub it in thoroughly. This is a good way of protecting your nails before the glue goes on. 4. 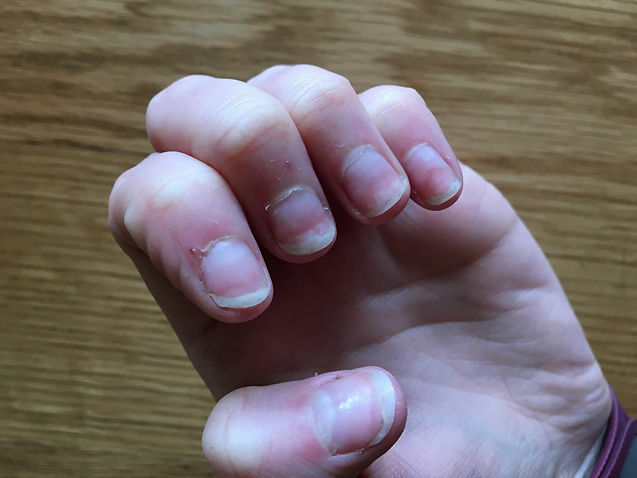 This next step might seem a little counter-productive after you’ve added oil onto your nails, but we need to use the rough part of your nail file and rub it over the surface of your nails to creat ridges. 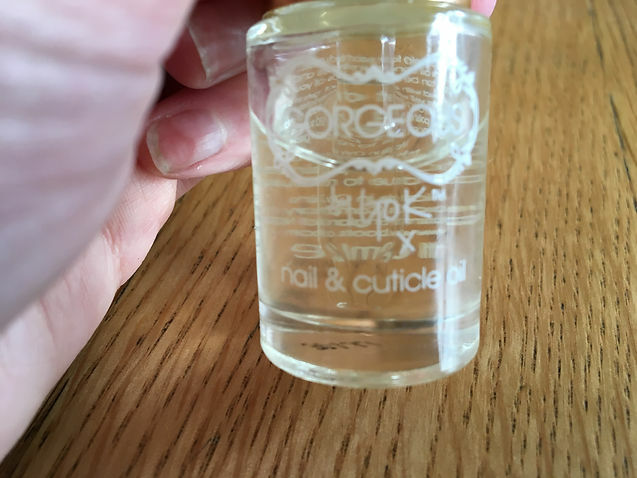 This is the best way to ensure your nails will stay on longer, because there is a bigger surface area to be covered with glue- i.e more nail for the glue to grip on to. 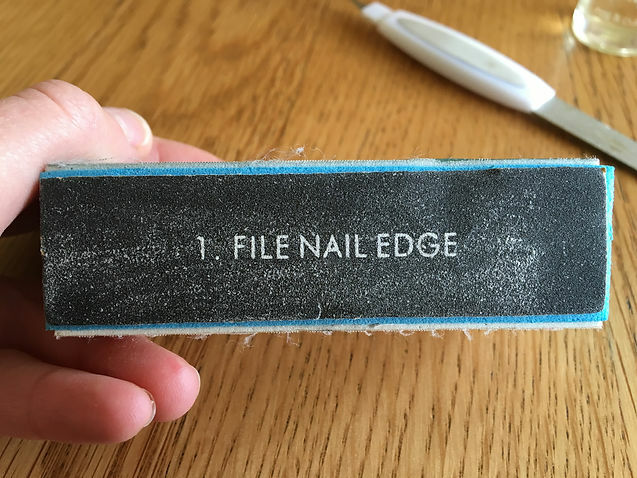 Make sure you wipe of any filings before you glue on your nails. 5. 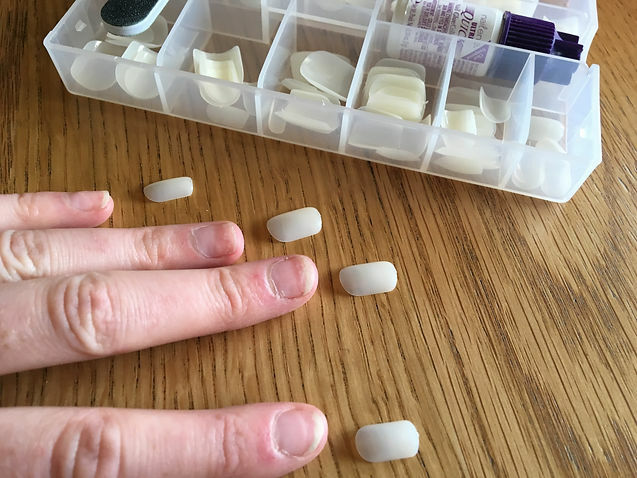 Glue on each nail, trying your best to push the fake as close to the nail bed as possible. 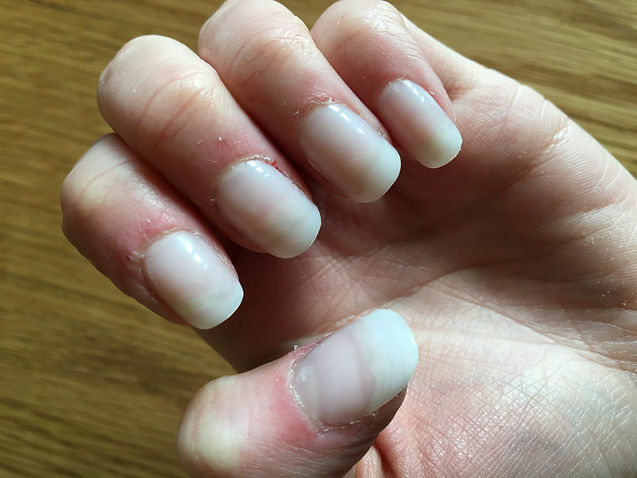 This way, as your nails underneath begin to grow, it will take longer for the nail underneath to show. It’s as easy as that! now you are ready to paint your favourite design!